TeachBeyond members who began teaching at Cowman this year include Kristen Robinson, Zenobia Curtis, and Bradley Pyle. Shawn and Jaimie Tiechmer are in the process of raising financial support. The school pays a $750 monthly stipend and TeachBeyond members raise additional monthly support. The school offers some extra-curricular activities such as football, basketball, and volleyball. A student-led praise and worship band leads worship in chapel every Friday morning. 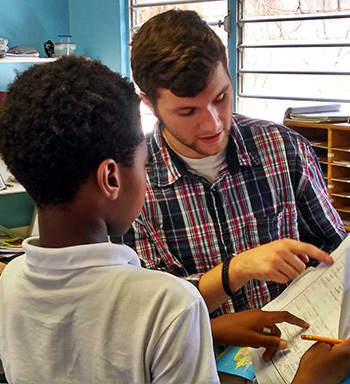 Arranging for coaches and other after-school supervision is a challenge and falls disproportionately on missionary staff because Haitian teachers are only expected to work the length of the school day.